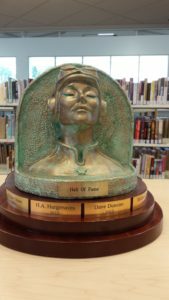 It is with the greatest sadness I have to write about the passing today of one of Canada’s legendary SF&F writers, Dave Duncan. We go through life knowing we are born to die, but some people we come across are legendary, and so we forget they are mortal also. Dave was one such. A gentleman, crusty at times if you didn’t understand his background or culture, a storyteller of great skill. In fact, I’d come to think of him as a modern bard, comfortable by his virtual hearth, spinning yarns to enthrall the unwary. For most of his professional career he has been represented by Richard Curtis of the Richard Curtis Agency. Dave was a perfectionist. He fretted about putting out sub-standard work, professed he was not strong regarding character development, which is nonsense, but you’d never convince him of that. When he was inducted into the Canadian Science Fiction and Fantasy Hall of Fame, he was more than a wee bit chuffed. (In the positive sense of the term.) 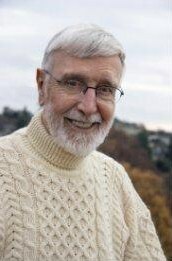 He was both a founding and honorary lifetime member of SFCanada. I feel certain Dave’s books will continue to be read and enjoyed by future generations. There is a timelessness to the stories he wrote, full of believable characters, reluctant heroes in impossible situations.He wrote with a sharp wit for which he made no apologies. On a purely personal note, I will miss Dave. I will miss that sharp wit, the emails we shared especially over the recent months. First Hank Hargreaves. Now Dave Duncan. So let us not forget those who have gone before us, who have left a legacy of worlds. Sad, sad news. I agree, he seemed immortal. And he is, through his delightful books. ah, crap. Dave was one of my favourite authors. He was the best. I will miss his new stories. But he worked right to the end!!! Two new books coming out!!! I’ll miss you Dave! You were a conner! I am going to miss him so much. It’s like losing a family member.